A few posts back, the question of querying more than one agent at a multi-person firm rolled in. I prevailed on some very nice agents who work in companies that are not solo practices to answer. There's no hard and fast rule for how agencies are structured-- but you can be fairly certain that there's no 'meeting' at which agents are talking about things that they DON'T want to represent. Such a meeting would take hours and earn not a dime. And you can also assume that the letter is structured as one person writing with the editorial "we," rather than a true indication that it speaks for everyone in the agency. agency like ICM or William Morris or Writers House, with very large staffs, it's probably not going to be noticed. If you're talking about a smaller place, it very well may. Ultimately, there's no right or wrong here. It's going to be a personal call based on how much you want a particular agent versus how embarrassed you're going to be if you get another rejection letter marked 'like we told you the last time...' And you might. This is so timely for me! I'd actually sent a similar question to AgentC before she withdrew. 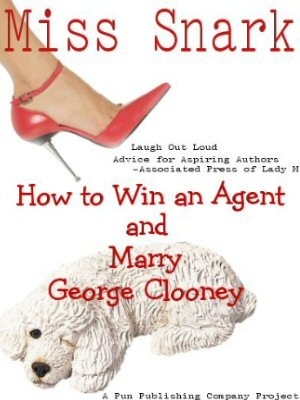 On my own, I decided that any agency with three or fewer agents should not be queried again (until the first round of options is exhausted, so enough time would have passed). Any agency that said on the website something to the effect of "if you don't know whom to query, send it to [name] and it will be directed" meant they have a reader who filters, and is also a query that shouldn't be sent again in the first large round. And any agent who accepted equeries to his or her personal email address was making a personal choice, not one on behalf of the agency, so that agency could be queried again (but not simultaneously). It's worked so far...anyone have information as to whether this is a bad system? It seems to be a bad idea to send a query to an agent that you haven't researched (ie, "if you don't know whom to query"). Of course the agents that you query might not get to your letters first--in the larger agencies, that's what interns, assistants, and freelance readers are for. Rumor has it that when a slush pile gets too large an agent will throw a "slush party", where his or her army of eager young filters will be bribed with beer and pizza until the pile is decimated. I think the chances of the same intern/assistant/freelance reader at such an agency having a go at your query letter twice is pretty low. This pretty well confirms what I suspected. I can't tell you how many times I've said -- I think the mail opener is sending me rejections. I've received rejections that looked like they had been printed five times on one piece of paper and cut off in strips with school scissors by a kindergartner. Anonymous #1 - I didn't mean to imply I wasn't researching agents. I am, and once in a while I've found a few agents at one agency who seem to fit my style/project. "If you are uncertain which agent at DMLA to query, address your e-mail or letter to Donald Maass. Your e-mail or letter will serve to query all agents at DMLA." Other agency websites have similar notes, such as Lowenstein-Yost & Associates, to the effect that one query letter--and one rejection-- represents the decision of all the agents at said agency. "One or two screeners decide which submissions the senior agents should bother taking home to read." "Ultimately, there's no right or wrong here." Really, well this isn't at all an outdated system. Authors should feel very excited that an agency deems the work submitted to have that much merit. Interestingly enough, I know of one agency that does have a meeting to discuss submissions. During a workshop, Donald Maass said it was a normal occurance at his agency, though I don't have in my notes how often they do it. Just goes to prove every agency is different and you just have to use your best judgement. Maybe the agency has that little note up on their website in order to filter out writers who haven't done their research (you know, the ones who send out a heap of queries all willy nilly with little to no regard for the agents). That could be a wee sneaky filter in and of itself. It's a strange position for a writer, being so far removed from this aspect of the business that we must piece together how it works from (sometimes contradictory) books and the help of anonymous strangers. I'm just beginning to query; I shall luxuriate in the fact that researching agents who best fit still produces opportunities!